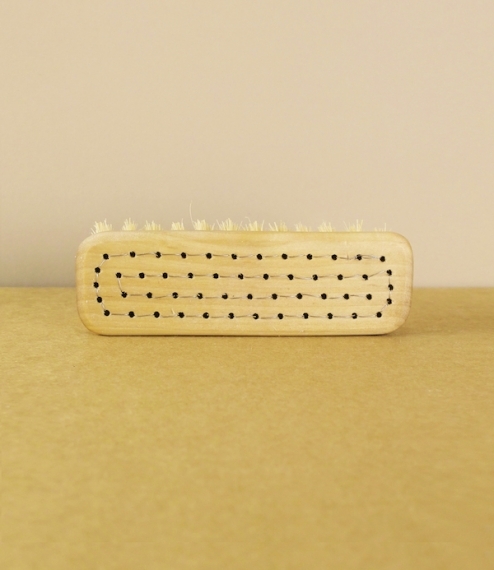 A nailbrush of oiled boreal birch and golden tampico fibre hand-stitched by the crafts people of a Finnish visually impaired workers cooperative. Tampico is a moderately stiff vegetable fibre harvested from an agave found only in the Chihuahuan desert. 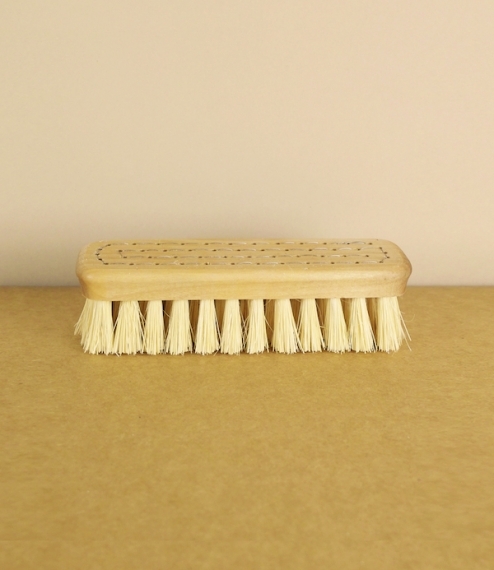 The fibres have a microscopically barbed surface, which helps hold water for more effective cleaning, and lends them a gentle polishing action, making it the perfect material for buffing soil dulled nails. 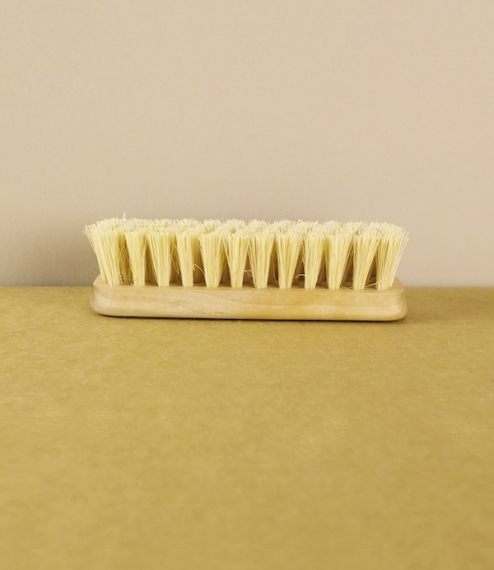 12cm long by 3.8cm.